The Nick's Kids Foundation is dedicated to raising awareness and garnering resources for deserving organizations who primarily support children throughout the state of Alabama and the Southeast. 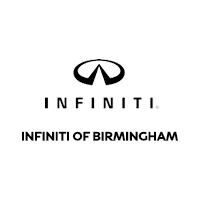 INFINITI of Birmingham is a proud sponsor of the Nick's Kids Foundation and engages in regular fundraising events to support them. The Johnny Mac Soldiers Fund provides assistance to veterans who served honorably in any branch of our Armed Forces, and spouses and children of veterans in need of financial support to further their education. Assistance includes: college scholarships and grants, financial aid for professional certification programs and non-degree programs, and education career counseling and mentor ship. Habitat for Humanity's vision is for a world where everyone has a decent place to live. Habitat for Humanity brings people together to build homes, communities and hope. As a nonprofit, ecumenical Christian ministry, Habitat for Humanity's welcomes volunteers and supporters from anywhere. INFINITI of Birmingham is proud to be part of such an inspiring organization and supports Habitat for Humanity at any opportunity. Puppy Pipeline's mission is to address the weakest link in the adoption chain by transporting dogs and puppies from an area of "low demand-high supply" (the South) to areas of "high demand-low supply" (the Northeast & upper Midwest) using a dedicated team of volunteers driving non-stop to destinations overnight.